The Grasmere hotels listed below are either in the town or we have given a rough guide as to how far they are from Grasmere. We hope you enjoy your stay and find your ideal accommodation. Station: WINDERMERE. 10miles. On the northern outskirts of the village of Grasmere, approximately halfway between Windermere & Keswick on the A591. Junctions 36 or 40 of the M6 are the easiest access points. Station: WINDERMERE. 8miles. From North/North East, exit the M6 at Junction 40 turning onto the A66 west towards Keswick, then south onto the A591 to Grasmere. From the South, exit the M6 at Junction 36, follow the A591 west through Windermere & Ambleside to Grasmere. The Swan at Grasmere has elegant, cosy lounges and traditional rooms with free mineral water and satellite TV. The centre of Grasmere is within a 10-minute walk. Set in 3 acres of mature gardens, Dale Lodge Hotel is a period property with traditional charm. Located in the heart of the Lake District, it features a popular restaurant, bar and modern bedrooms. Situated within Grasmere, a picturesque village in the heart of the Lake District, Ivy Dene is a 100-year old coaching inn surrounded by beautiful Lakeland views. In Grasmere, the Red Lion Hotel has an indoor swimming pool, stylish rooms and a mini-gym. On site, Lilliputs Leisure Centre features a sauna, steam room and spa bath. In beautiful Grasmere, Rothay Garden is a luxurious 4-star hotel with a stylish 2 AA-Rosette restaurant, stunning designer rooms and a riverside spa. There is free private parking. 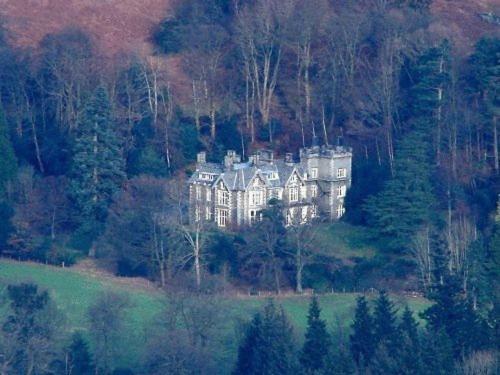 In the heart of the Lake District's mountains, the Lancrigg Country House is a 10-minute walk from Grasmere village. It offers rooms with countryside views and a vegetarian restaurant. Situated in a quiet corner of Grasmere, this hotel is set in beautiful gardens with an outdoor swimming pool and a putting green. There is also a private pier on the lake shore. 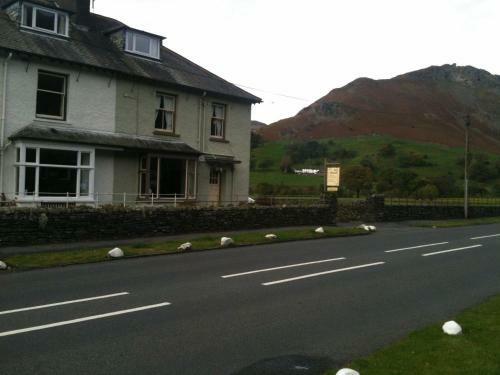 In the heart of Grasmere, the 4-star Wordsworth Hotel has an award-winning restaurant and scenic views. Guests have free use of the spa, including a pool, mini gym, treatment rooms and jacuzzi. Within 42 acres of landscaped grounds, Forest Side Hotel sits on the lower slopes of Butter Crag, in the heart of Grasmere. It has candlelit lounges with open fires and free Wi-Fi. A charming 19th-century bed and breakfast hotel, Heidi's Grasmere Lodge offers luxury accommodation in the heart of the Lake District. It serves traditional Cumbrian food, and has free on-site parking. For hotels accommodation in other areas nearby see Ambleside hotels & Newby Bridge hotels.